We’re back from our holidays and it’s time to get some more recipes up. During our trip, I got started in planning our Christmas meal. Yes, I know, it’s a bit early but we’re hosting it for the first time ever so it’s kind of a big deal. Over the next few months, I’ll be testing out recipes for dishes I’m thinking of offering. You can follow the progress via this tag: The First Christmas. 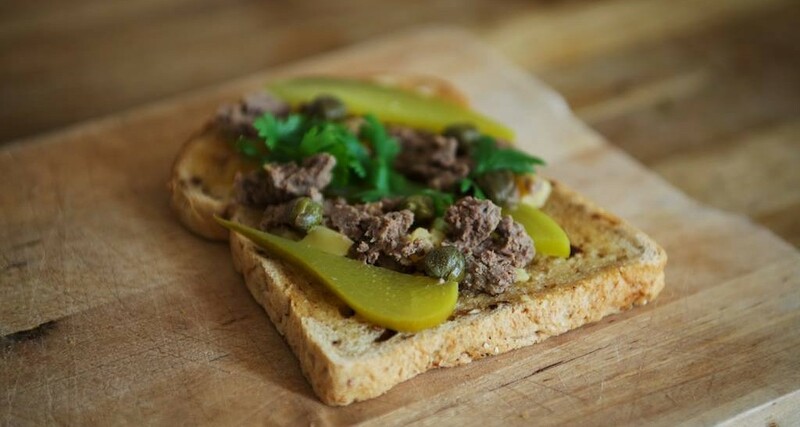 This week, I’ll start with something that’s surprisingly quick and easy to make liver patè. I’ve made it with port liver, but I’m sure it’ll work just the same with chicken or venison. Relatively easy to make liver patè.